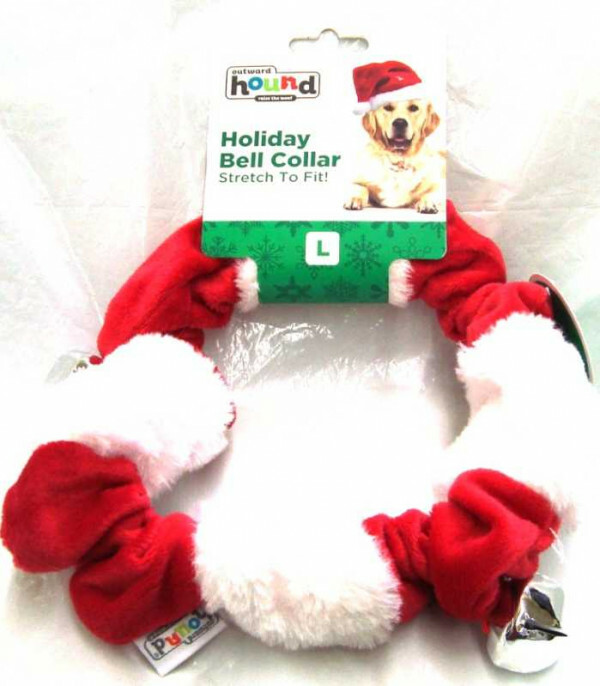 Holiday Pet Bell Large Collar Dresses Your Big Dog In Style For The Holidays. Large bells ring with a lower tone. Red and white alternate soft material. Streatches to fit.